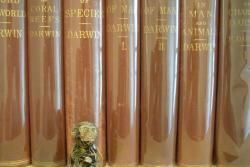 Looking for scholarly books? Biblio.co.nz hosts hundreds of of the finest online book stores and booksellers, including specialists in scholarly books. Use the list below to locate a specific specialist bookseller or book store near you. Or, use the form below to search the inventory of all booksellers who specialize in scholarly books. Since 1975, our books have reflected the academic and cultural elements of our community in Ithaca, New York. We feature used and rare books about New York and local history, as well as foreign languages, art, art history, architecture, books from all sciences, as well as fiction and poetry.Books are shipped USPS at the media mail rate for domestic orders and first class for international orders. All domestic orders $100 and over will be upgraded to USPS Priority shipping at no additional cost. Situated on Long Island's north shore, the business maintains a stock of approximately 4,000 titles of quality scholarly, scarce and out-of-print secondhand books in most fields. In business since 1972. 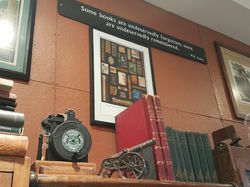 Founded and still operated by Michael and Mary Mart, the business is Suffolk County's oldest antiquarian book business. Except for a few Book Fairs a year on Long Island and in New York City, all sales are conducted on the internet.